Xiaomi has officially launched the new Redmi Note 5 and the Redmi Note 5 Pro. 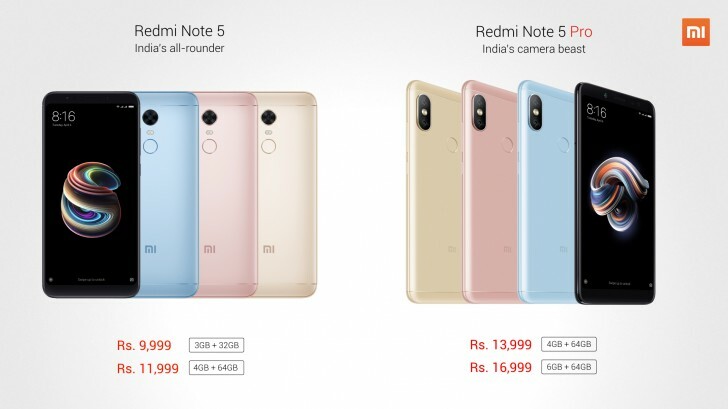 The event held in India revealed that prices start at INR9,999 (€125/$155) for the Redmi Note 5 and INR13,999 (€176/$218) for the Redmi Note 5 Pro. The Redmi Note 5 Pro is a brand new device making its global debut in India. 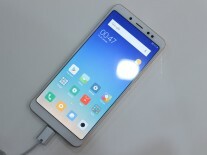 It has the same 5.99-inch display as the Redmi Note 5 but a new Snapdragon 636 processor with 4+4 Kryo 260 CPU clocked at 1.8GHz and Adreno 509 GPU. You get a choice of 4GB or 6GB RAM along with and 64GB of storage. On the back is a new dual camera system consisting of a 12MP f/2.2 primary camera and 5MP f/2.0 depth sensor. On the front is a 20MP camera with LED flash. 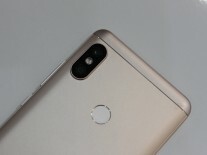 The phone was announced with Face Unlock, making it the first Xiaomi to feature the tech. 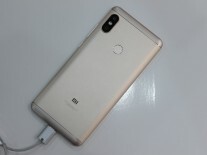 It has the same 4,000mAh battery as the Redmi Note 5 but again there's no fast charging and no USB-C. 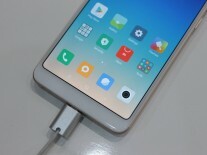 It will ship with MIUI 9 on top of Android Nougat. The Redmi Note 5 Pro will be available in four colors: Black, Gold, Rose Gold, and Blue. The Redmi Note 5 is a rebranded Redmi 5 Plus for India. 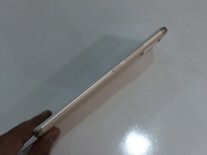 It has a 5.99-inch, 18:9 display with 2160x1080 pixel resolution that has rounded corners and curved 2.5D glass. Inside, there is a Qualcomm Snapdragon 625 chipset with a choice of 3GB or 4GB RAM and 32GB or 64GB storage. On the back is a 12MP, f/2.2 camera and on the front is a 5MP camera with LED flash. The phone will ship with MIUI 9 running on top of Android 7.0 Nougat. Powering it is a 4,000mAh battery but with no fast charging and over a micro USB connector. The Redmi Note 5 will be available in four colors: Black, Gold, Rose Gold, and Blue. You can check out our review of the Redmi Note 5 here. The Redmi Note 5 Pro is priced at INR13,999 (4/64GB) and INR16,999 (6/64GB). 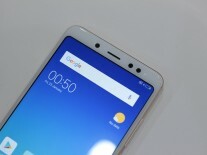 The Redmi Note 5 costs INR9,999 (3/32GB) and INR11,999 (4/64GB). The first sale is scheduled for February 22 on Flipkart and Mi.com, with offline stores to follow soon. 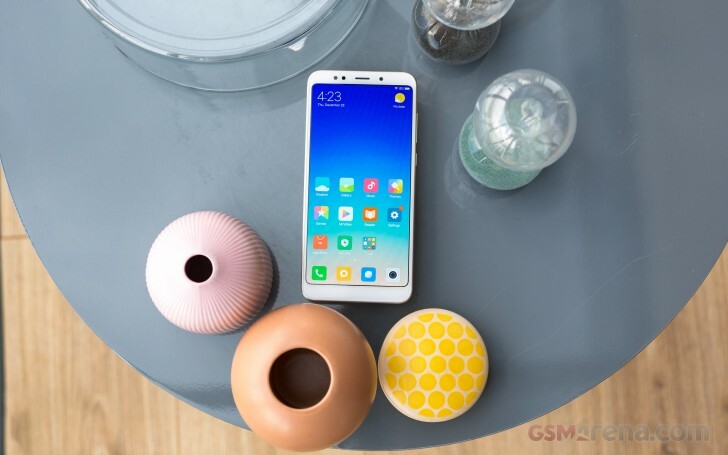 It seems that xiaomi has released a new version of redmi note5 global version. It will come with the SD 636. No, it's not the pro. Redmi note 5 / Redmi Note 5 Pro sale is available for common people in India, these two are available only for Bulk buyer / Other online shops.